This was my first venture into pork chops! Overall this recipe was tasty, but I did find that the pork chops were a little on the dry side. Not enough to put them into the Attempts category, but enough to look up how to prevent that from happening next time. I didn't have enough time to cook these on low. That could have dried these chops out way faster. Maybe I seared them for too long? If you brine the pork chops beforehand they'll better retain moisture. I'll try making those next time and will update this post! For these I used this recipe from The Spruce. 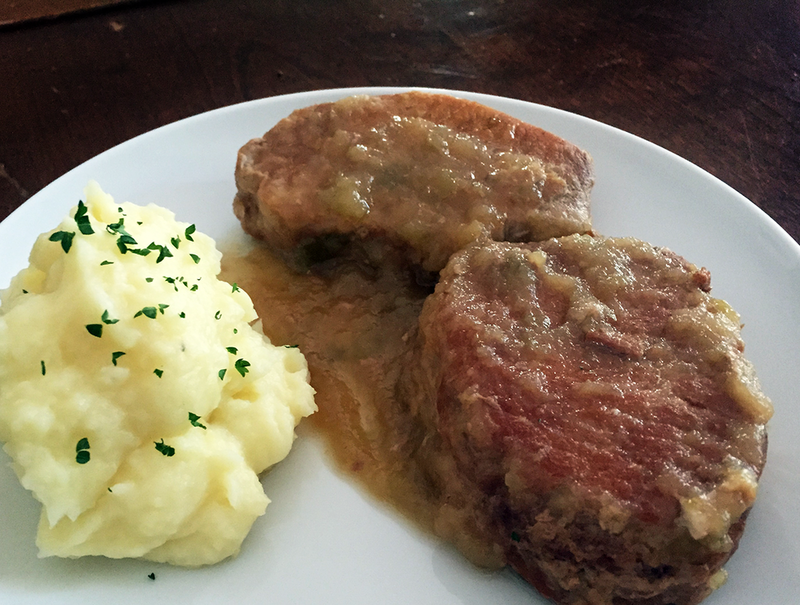 I enjoyed that the addition of apples and tangy brown sugar sauce can be used to create an apple chutney to pair with the pork chops once they done cooking! 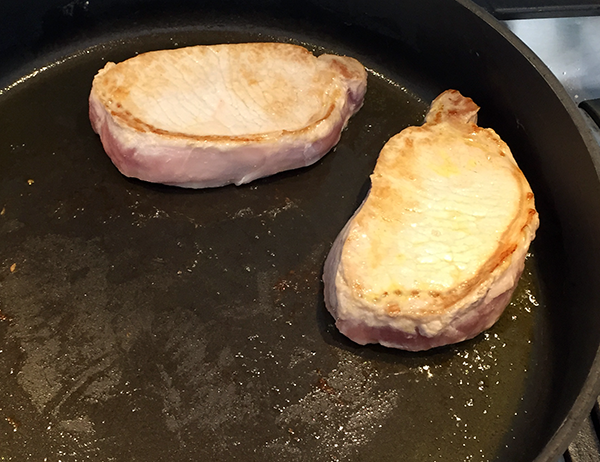 Trim any excess fat on the pork chops. I usually leave a little to help keep them moist while cooking. Take out a skillet, add the oil and turn the heat to medium-high. 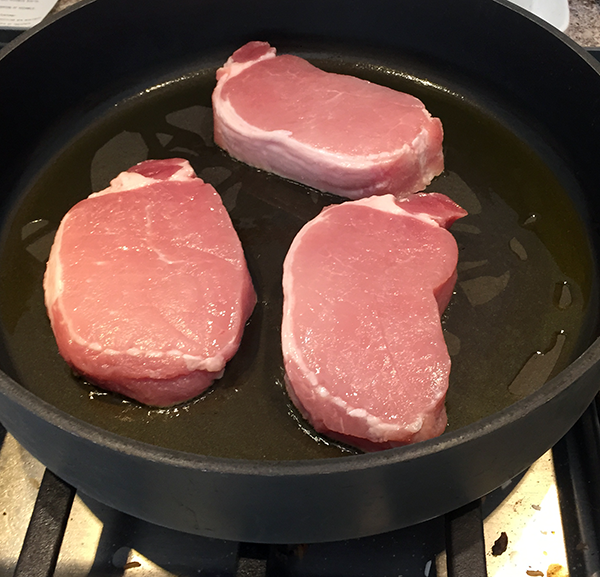 When the oil's heated up add the pork chops in and sear each side. That's usually 2-3 mins per side for me. Take the seared pork chops and place them in the slow cooker. Cut up SO many (6) green apples into thick slices. Make sure not to include the cores. Mix the apples in with the raisins, brown sugar and lemon juice. Pour them all over the pork chops in the slow cooker. Cover and cook on low for 7 to 9 hours, or on high 3 to 4 hours. I opened it up twice throughout the cooking time to ensure everything was mixed well. Once everything was done cooking I mixed up the apples until they became a thick sauce. You could always take the sauce and boil in a pan to thicken it up even more. I paired these with Yukon Gold mashed potatoes. Yum! I don't know how to take pictures of food that's been cut up yet. Here's my attempt. Could definitely be better.